For Filipino parents, making the most out of their hard-earned money is always a challenge. For the financially savvy, the challenge is on prioritizing which future need they should save up for. According to recent studies conducted by Philam Life, education always falls among the top five financial priorities across different market segments. The studies revealed that across market segments, from the Filipino-Chinese to the Younger Affluent and to the Overseas Filipino Workers (OFWs), education is a key priority in Filipino families. Protecting the future of children is appears to be equally important as spending quality time with their family among the Filipino-Chinese parents. The Younger Affluent parents prioritize their children's education over saving up for their retirement. Investing to ensure one's child’s education becomes high priority among OFW parents as many regard completion of their children’s college education as one of the conditions that would allow them to come home. “We understand that education is a key priority among Filipino parents but they are wary of getting an education plan because of the pre-need issue in the past. They are also faced with the challenges of increasing tuition fees and the additional expense brought about by the extended years of basic education,” said Philam Life CEO Aibee G. Cantos. As the country’s most trusted life insurance company, Philam Life is well positioned to help parents overcome these financial challenges and worries. 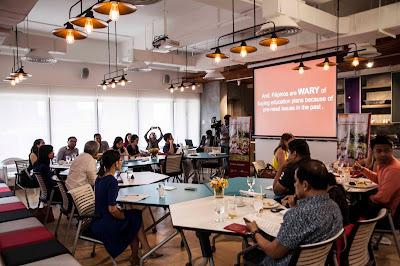 “We have a long history of empowering Filipinos and we remain a strong and trustworthy partner of parents in achieving their dreams for their children,” Cantos added. In the last 10 years, Philam Life paid out over Php10 Billion in education benefits (2004-2015). Last May, 50,000 scholars received their education payout for the first semester of SY 2016-2017. This October, 51,000 checks will be released for the second semester of SY 2016-2017. “Times are changing and Philam Life has an important role to play in helping parents achieve their aspirations for their children. 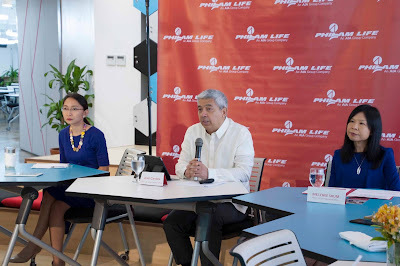 That’s why we continue to develop innovative product solutions that are relevant and responsive to their real life needs,” said Philam Life Chief Marketing Officer Mei-Chee Shum. Philam Life introduces Future Scholar, an education plan that provides long-term growth potential and guaranteed education benefits. It offers access to Philam Life’s expertly-managed funds and guaranteed education benefits. The plan’s premiums would be waived in case the parent passes away or suffers from a total and permanent disability, and there is an option to get life insurance coverage for the parent that the family can use to supplement the education funding. Customers can choose from two simple payment options – pay over 5 years or pay regularly until the child turns 17. “Parents are always thinking about the future of their children. They want their children to finish school and become successful. Philam Life’s Future Scholar is a product that help them realize their dreams for their children,” said Shum.